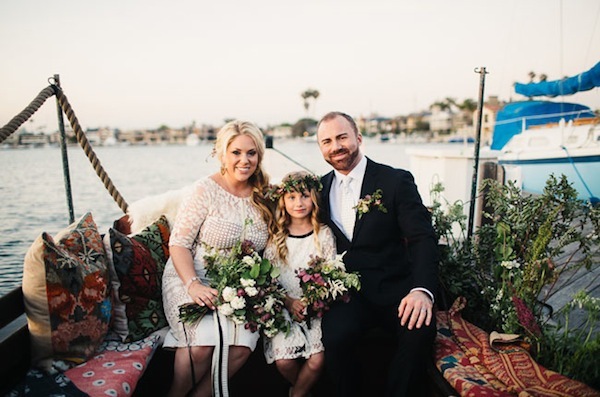 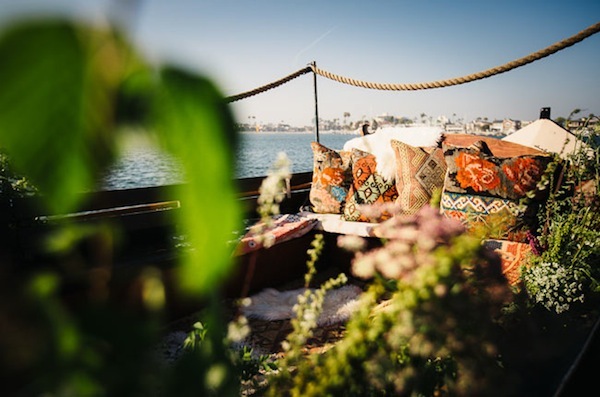 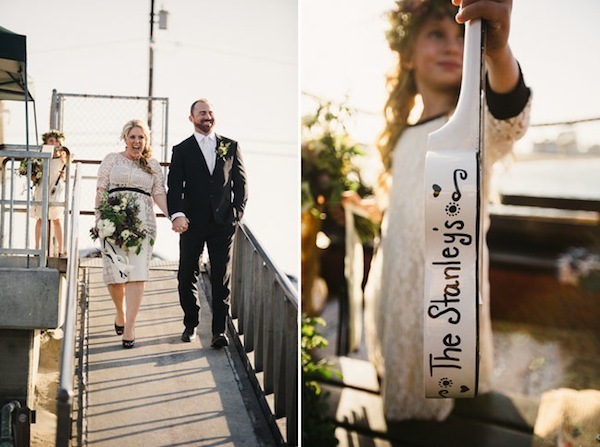 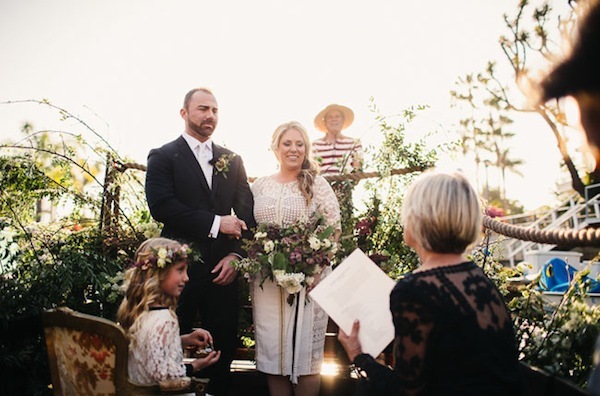 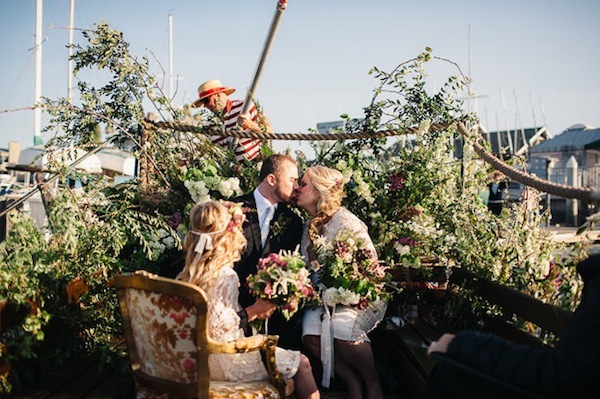 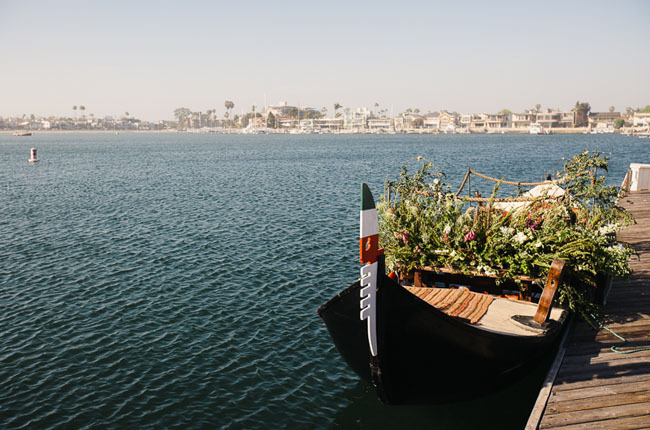 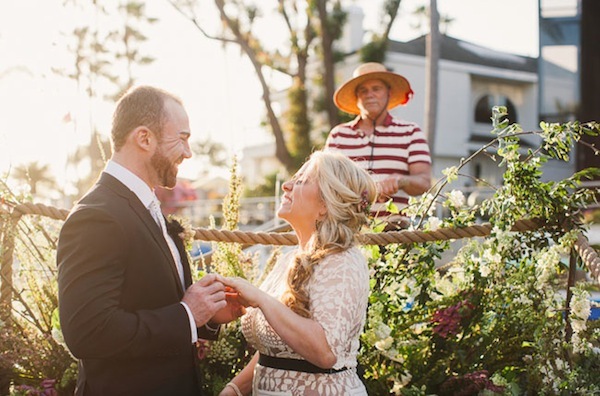 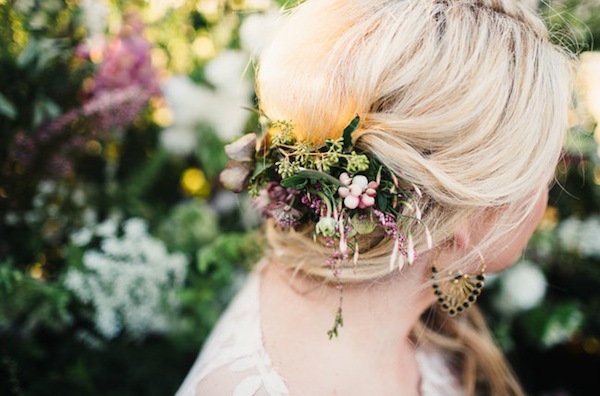 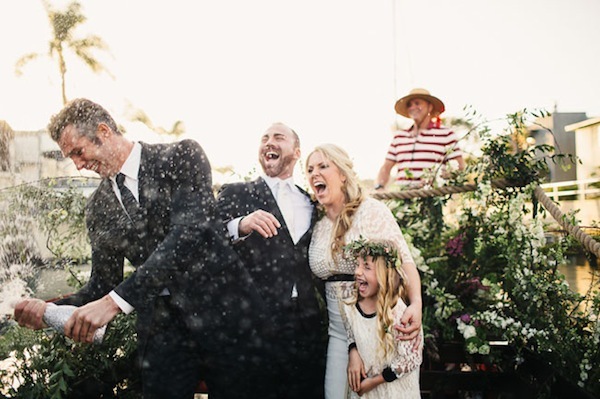 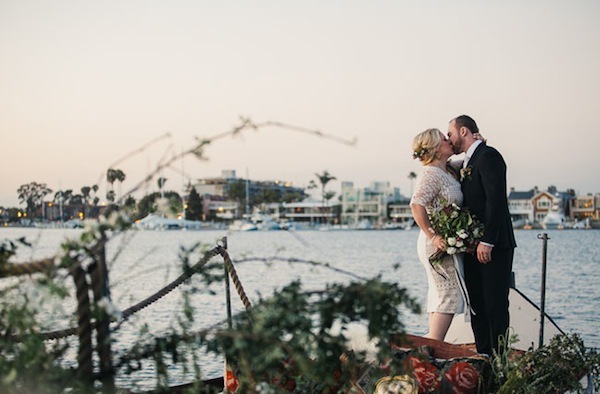 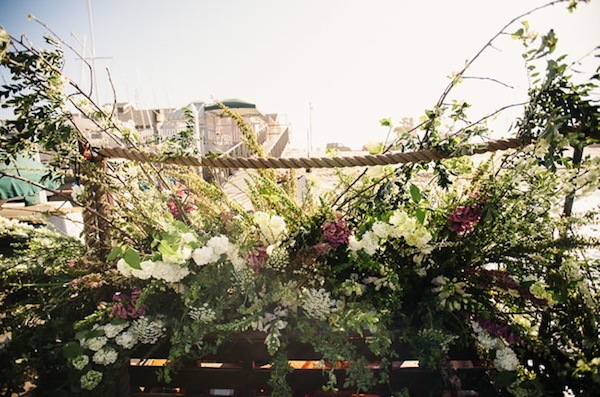 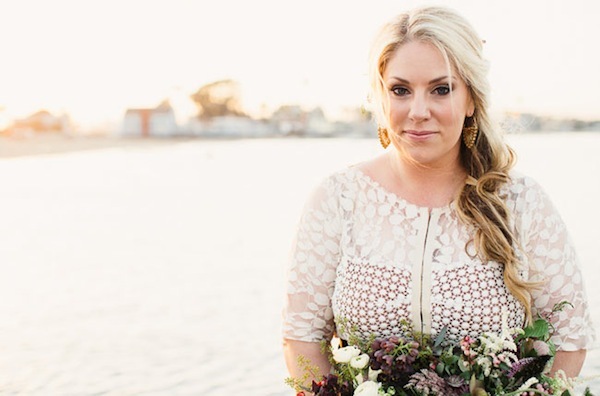 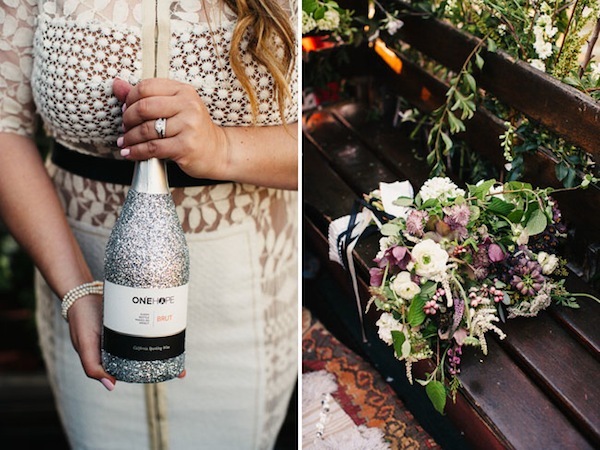 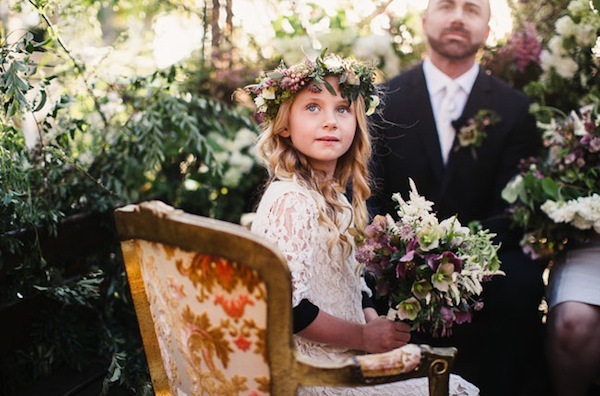 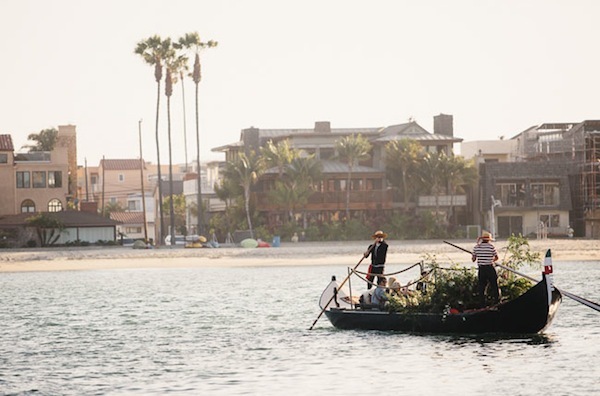 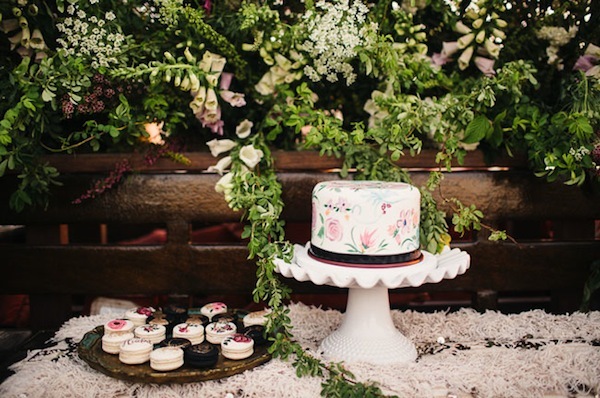 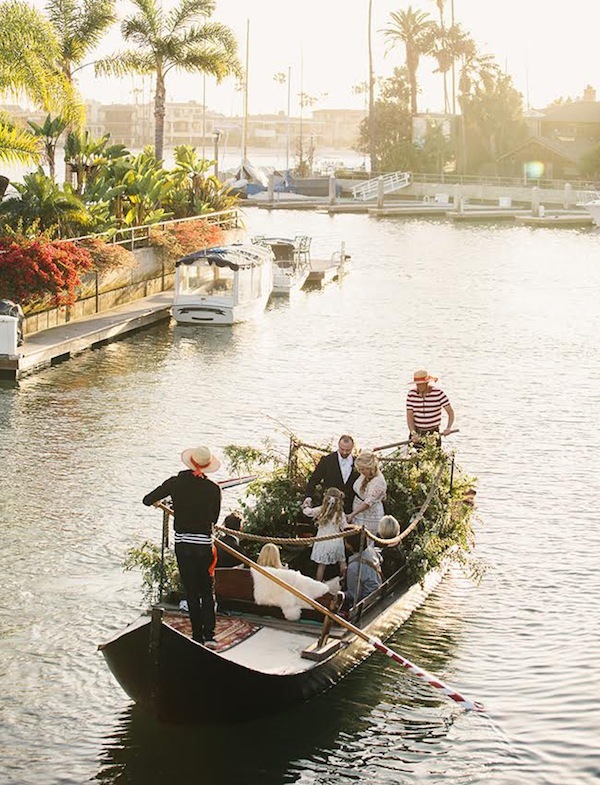 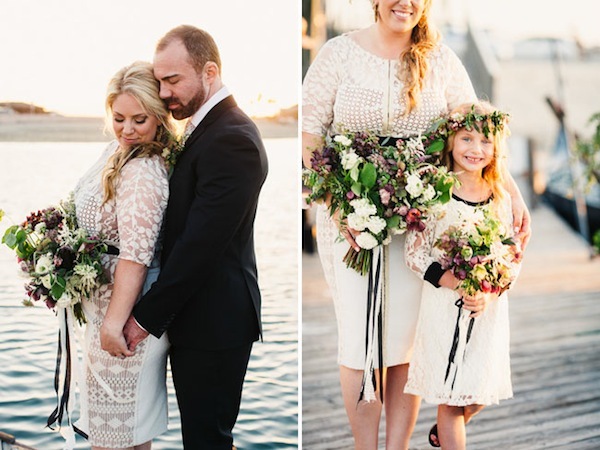 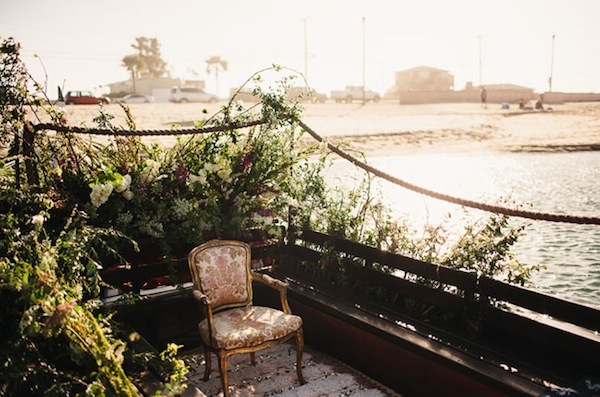 Meredith and Tyler’s elopement in Long Beach, California was perfectly intimate on a wild flower inspired gondola. 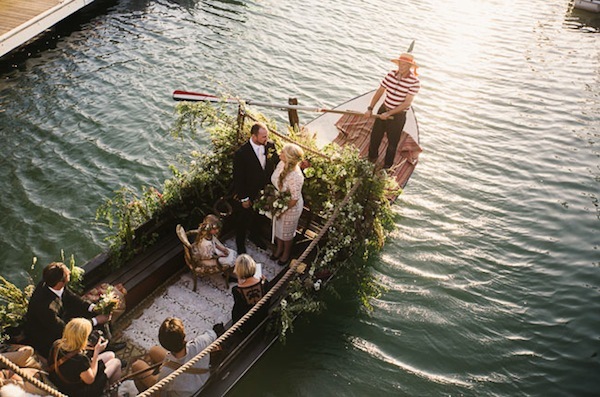 The beautiful setting of the wedding made the night magical as they said their vows coasting through the canals. 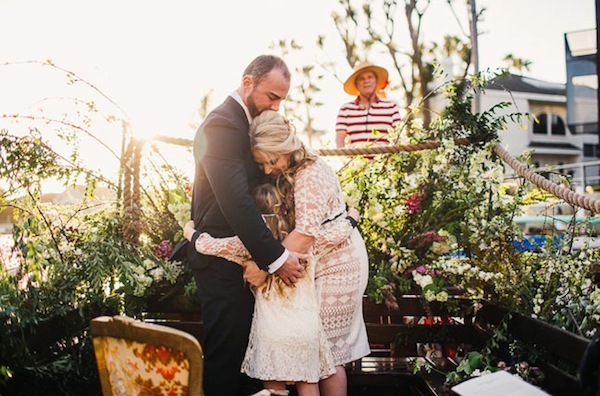 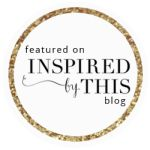 The couple was accompanied by their five year old daughter and their favorite local singer, Kevin Miso, to make the night even more special than they had dreamed of. 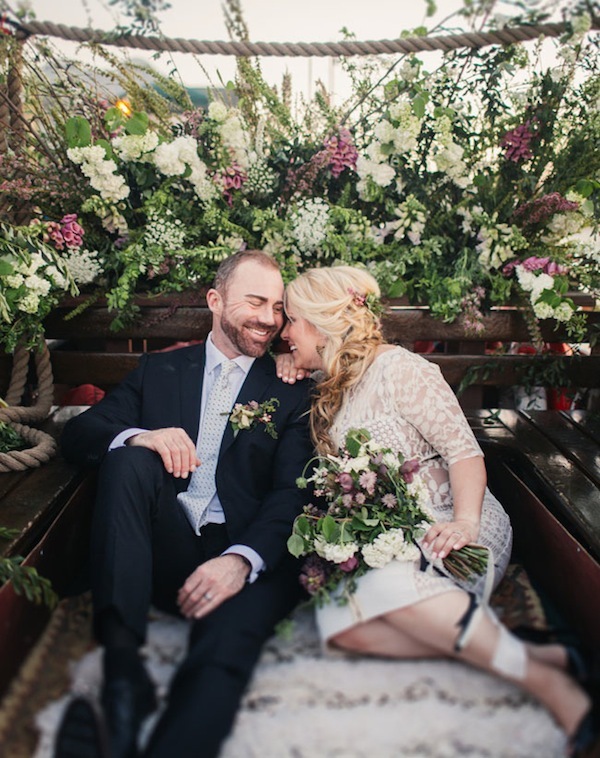 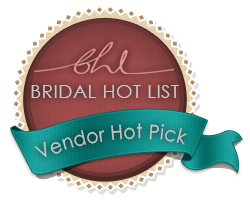 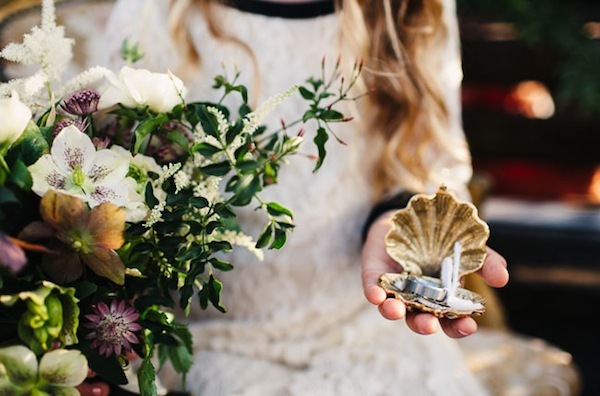 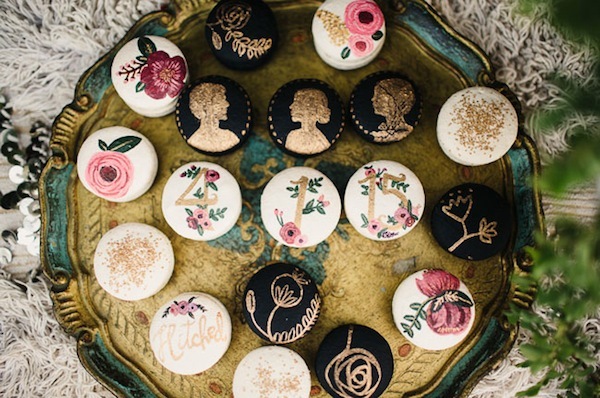 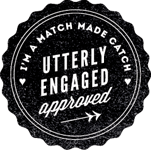 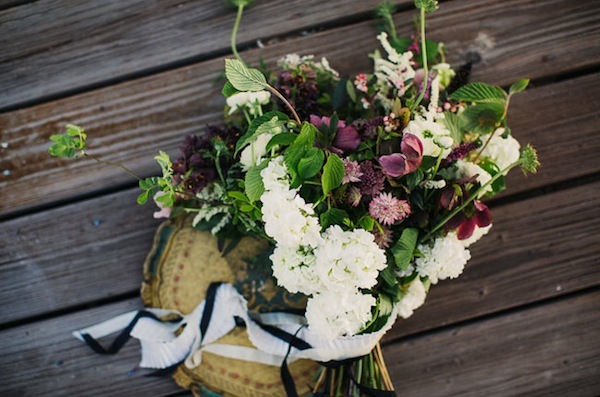 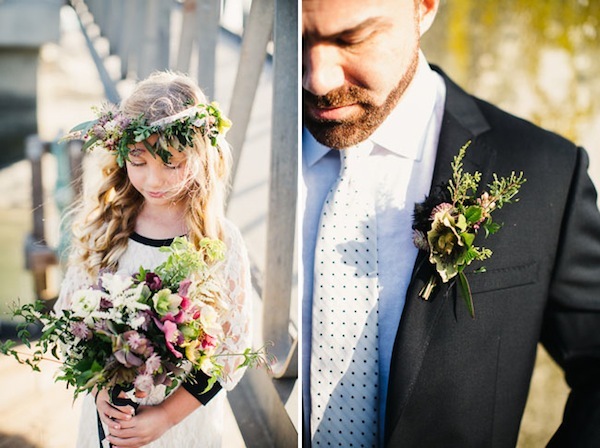 See more of this simply perfect elopement on Green Wedding Shoes.